The city of York will soon be home to one of the biggest electric double-decker fleets outside of London, thanks to investment from First York and funding from the City Council and Office for Low Emission Vehicles (OLEV). 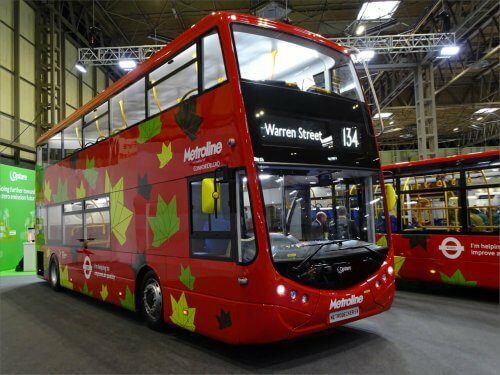 By October 2019, 21 brand-new Optare Metrodecker EV buses will have joined First York’s fleet. The zero-emission ‘deckers have a capacity of 99 passengers, and can travel over 150 miles on a single charge – meaning they won’t need to be recharged during the day. Audio-visual next-stop tech will feature on the buses, as well as USB charging points and redesigned Park & Ride branding. Alongside taking delivery of the vehicles, First York will also be upgrading its charging infrastructure. York Park & Ride is an operating partnership between City of York Council and First York, and supports over four million journeys every year. Optare has previously supplied 12 electric single-decker buses for the Park & Ride service, which have been operating on two of the six Park & Ride sites for the last five years. Marc Bichtemann, Managing Director of First York, said: “We’re proud to be the operator of one of the biggest fleets of double deck electric buses outside of London, as we continue to work with City of York Council to improve air quality in York. “Today’s announcement showcases the benefits of partnership working in practice and we remain committed to investing in our bus services in York, as we share the same vision. By working together, local authorities and bus operators can make a real impact on congestion and air quality, provide better services for our customers, support local economies more effectively and, ultimately, help to increase passenger numbers. Optare’s Commercial Director, Robert Drewery, added: “Optare is delighted to continue its electric journey with First York. In 2014, our electric single deck Versas began operation on the city’s Park & Ride service. “We have built on five years of valuable EV experience in York to develop our product range. In 2017, Optare partnered with First and City of York Council in launching our prototype electric double deck into service. Transport Minister Nusrat Ghani said: “Buses are vital for taking cars off the road, driving down emissions and cleaning up our air, and I am delighted that York are now set to do this with a cleaner, greener fleet – made possible through £3.3 million awarded under the 2016 Low Emission Bus Scheme.